When the Federal Point History Center welcomes a new Business Member or simply salutes a long standing member, we usually speak with pride of a small enterprise or local shop serving the public with fine fares or needed services. But what about when the Business Member operates on equipment loaded with 30,000 to 50,000 TONS of product moved in a DAY? 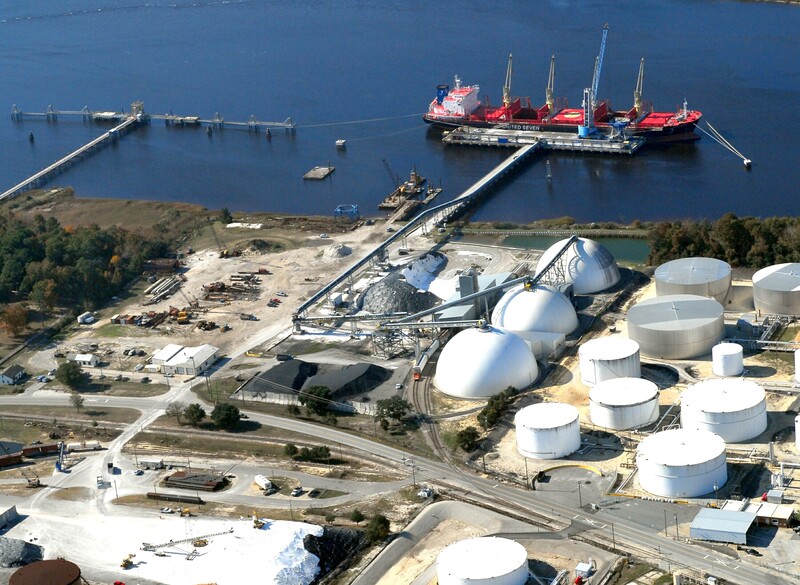 Carolina Marine Terminal located at 3330 River Road in Wilmington, NC handles cargo from ships that cost $20,000 per day so they have to do it fast and they have to do it right the first time. They have an ingenious conveyor design that takes product from the ship and moves it rapidly. 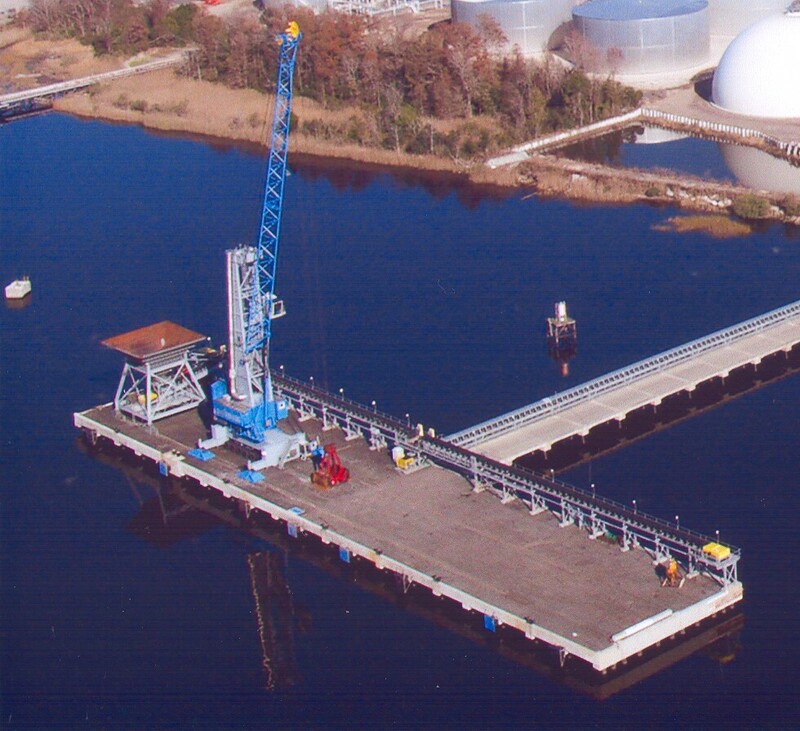 This system works along side a crane that can move 1,000 tons of bulk in an hour. They can get a truck in and out in 15 minutes from the time it hits the scales. Mike McCarley and Kevin Walker first ventured into business in the 1970’s and they have seriously impacted the local material handling business. There is no more of a state of the art system in our area and our hats are off to these adventurous gentlemen who have made this business such a huge success for them as well as for Wilmington. Please welcome the Carolina Marine Terminal as a very welcomed Business Members of the Federal Point History Center!! We are very proud and we are very impressed. Joseph Ryder Lewis Jr. Civil War Park Committees!